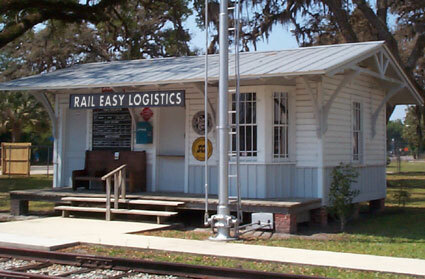 Welcome to Rail Easy Logistics Inc. The rebirth of an old concept lost over the years as railroads made huge technological advances and began to remove the human factor from their business plans. Lost are the days when the Railroad Agent knew everything about your companys needs and focused on meeting those needs every day. When a call from yourRail Agent with daily updates was common, not surprising. A time when you were alerted in advance if your local train crew was running late, empty car supply was insufficient, demurrage charges were beginning to climb, or had delayed inbound loads. Crucial information needed more than ever today that allows you to take appropriate actions to alter your business plan. For those of you that dont remember these days, they really happened. For those of you that do remember, we share your loss. Rail Easy Logistics will bring those days back to Customers under our care. The updates may be good, bad, or ugly, but you will have the information needed delivered by a competent, knowledgeable Agent so timely business decisions can be made. ©2012 Rail Easy Logistics Inc. All rights reserved.